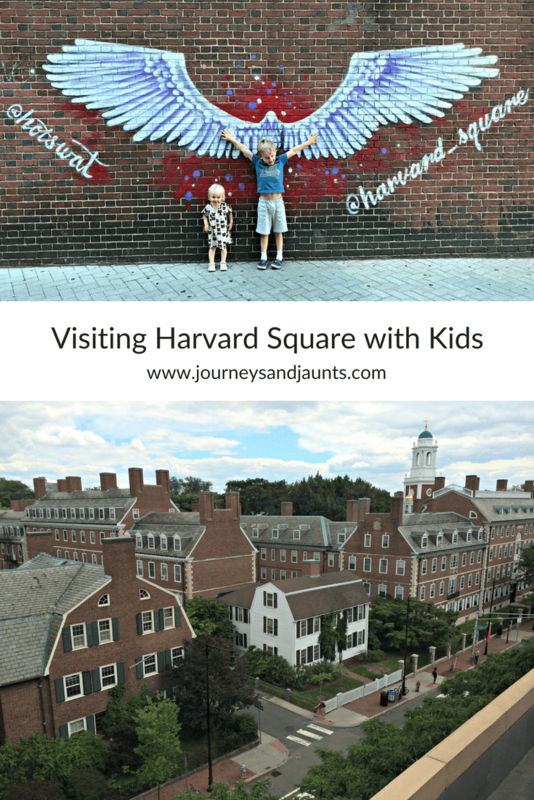 Walk through Harvard Yard and stop to rub the left shoe of John Harvard’s statue for good luck. The Harvard Museum of Natural History– this museum might be my favorite in Boston. It is small in size so it is not overwhelming and it is filled to the brim with cool stuff for kids to explore. My kids love bringing a notebook to draw the things that they see. They were blown away by the mastodon and I would never put a toe in the ocean after seeing a kronosaurus, a 42-foot-long prehistoric marine reptile. I would also highly recommend the Nature Story Time, which is held at 11 am and 2 pm in the Dinosaur Hall (although check website for changes). Curious George Store– this is the only store of it’s kind in the world. Join the man in the yellow hat and his mischievous friend on their adventures in this bright cheery toy store. Sweet Bakery– right around the corner this little bakery has the cure to your sweet tooth. These tiny creations are almost too pretty to eat. Alexander W. Kemp Playground– kids rave about this playground, which is just a short walk from the center. There is a slide built into the hillside, a water table and blocks to build with. It is located within the Cambridge Common at 36 Waterhouse St.
Harvard Square is such a great place to spend a day. There is an endless list of great places to eat and if you’re lucky, the Ben and Jerry’s ice cream truck will be parked outside of Harvard Yard. Sit back, have a scoop and let the people watching begin.